Jacksonville Brick & Tile Co. | Historic Jacksonville, Inc. Written on November 8, 2016 by Kenneth Gregg in History Trivia, Jacksonville Brick & Tile Co. 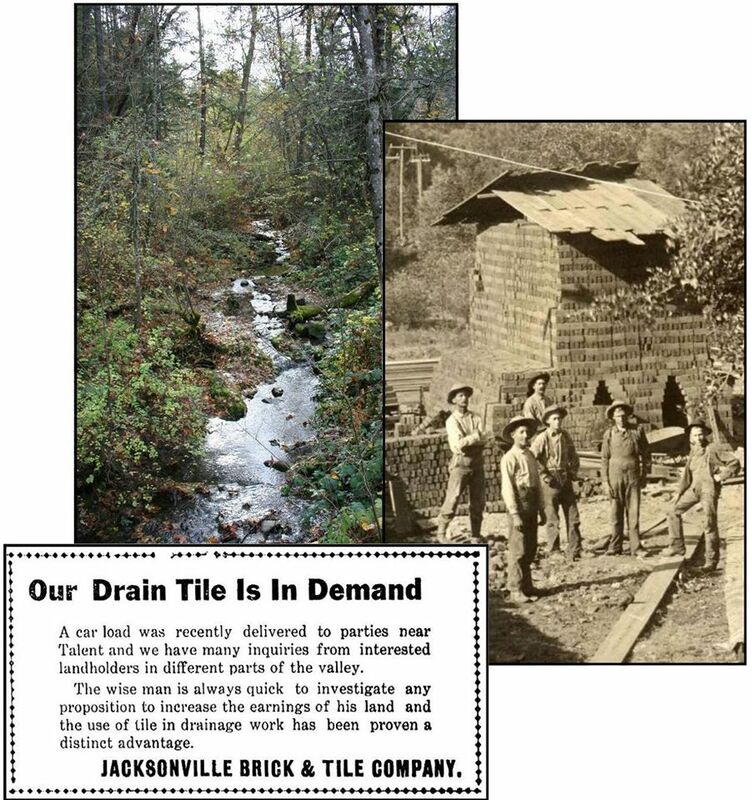 The banks of Jackson Creek across from Mary Ann Drive and Reservoir Road are the site of The Jacksonville Brick & Tile Co., one of the biggest brick kilns in Southern Oregon. Incorporated in 1908 by German immigrant Peter Ensele and his sons, the brickyard could burn 200,000 bricks every 6 weeks. The steep banks of nearby Jackson Creek had previously been the site of a major gold strike. When the gold played out, the rich clay supplied the bricks for major projects in Jacksonville, Ashland, and Medford. But with gold flakes still sprinkled throughout the site, “rich clay” took on a new meaning. To this day, flakes of gold still work their way our of Jacksonville Brick & Tile Co. brick buildings.